Will Ferrell's trademark off-the-wall lunacy kicks in for a comedy sure to score big with the whole family! 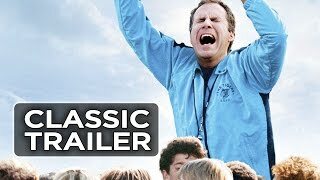 Phil Weston (Ferrell) is a mild-mannered suburban dad - who's suddenly transformed into a caffeine-fueled sports maniac when he becomes the coach of his son's unruly soccer team. But when the championship pits Phil's underdog team against the squad coached by his own domineering dad (Oscar® winner Robert Duvall), it's game on for the most uproarious mismatch of the season! Suit up for fun, Ferrell-style, with the comedy Ebert & Roeper give "Two Thumbs Up!"